ORLANDO, Fla. (NRB) – Dr. R.C. Sproul, founder and chairman of Ligonier Ministries, is scheduled to speak on the topic of “Sola Scriptura” (Scripture alone) at the Closing Gala Dinner on March 2, 2017, at Proclaim 17, the NRB International Christian Media Convention, in Orlando, Florida. 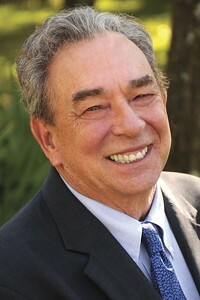 In addition to serving as founder and chairman of Ligonier Ministries, an international Christian education and discipleship organization located near Orlando, Sproul is co-pastor of Saint Andrew’s Chapel in Sanford, Florida; chancellor of Reformation Bible College; and executive editor of Tabletalk magazine. He is heard on the radio program Renewing Your Mind, which is broadcast in the United States and around the world. He has written more than 100 books, including The Holiness of God and Everyone’s a Theologian. He also serves as general editor of the Reformation Study Bible. In February, Sproul was inducted into the NRB Hall of Fame. Sproul will be one of five speakers who will deliver an address on a “Sola” of the Protestant Reformation. Other Solas include “Sola Fide” (faith alone), “Sola Gratia” (grace alone), “Solus Christus” (Christ alone), and “Soli Deo Gloria” (to the glory of God alone). The five Latin phrases emerged during the Reformation to summarize the Reformers’ theological convictions about the essentials of Christianity. Other Convention speakers will be announced soon. In total, NRB’s annual Convention features dozens of speakers in the areas of media, ministry, and public policy. During the Convention there will be several industry-specific summits and tracks, including the Digital Media Summit, Radio Summit, TV Summit, Church Media Summit, Film & Entertainment Summit, Great Commission (International) Summit, Pastors Track, Professional Development Track, and Homeschool Track. Other highlights include networking events, film screenings, and the award-winning Exposition featuring more than 200 exhibitors, including Museum of the Bible, the Convention’s Platinum Sponsor, which will present a one-of-a-kind interactive preview of its eight-floor, 430,000-square-foot facility in Washington, D.C., scheduled to open November 2017. Last year’s Convention drew more than 4,700 participants.